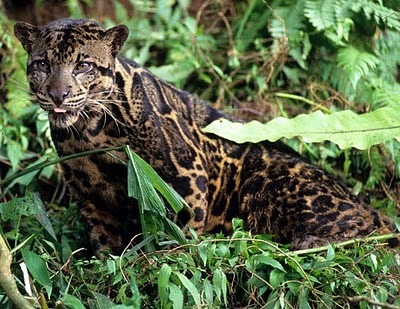 The Sundaland Clouded Leopard is a very rare feline that dwells in the isolated forests of the locations listed above. This big kitty has hardly been studied and these were the only two photographs on the internet that I could find. The Sundaland Clouded Leopard made a splash in the press in 2006 when it was declared its own separate species from the mainland Clouded Leopard. 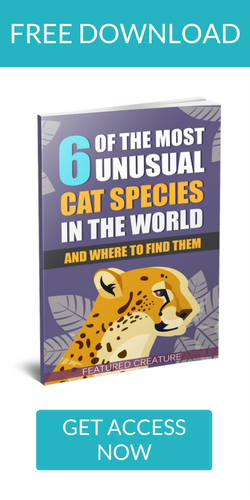 Originally it had been dubbed a subspecies but after genetic testing it was confirmed the two are entirely distinct from one another. The coat patterns of clouded leopards from Borneo and Sumatra differ from mainland animals by having smaller and darker cloud markings and a darker overall coat color. Cheers to the “new” leopard! 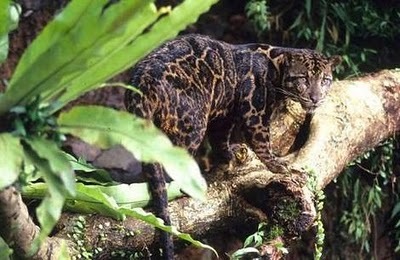 *be sure to check out another rare Bornean cat here! Story Book Character or Owston’s Palm Civet?